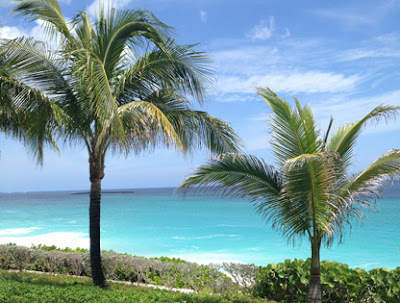 What's the difference between a good vacation and an amazing one? 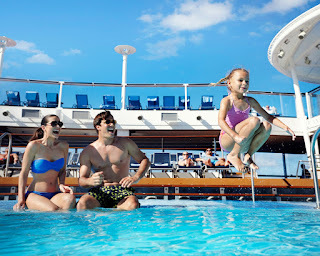 Well there are many answers to that question, but close to the top of the list you will find the revolutionary ships from Royal Caribbean International. Their ships can be found in every corner of the world providing an abundance of adventures you'll never forget. 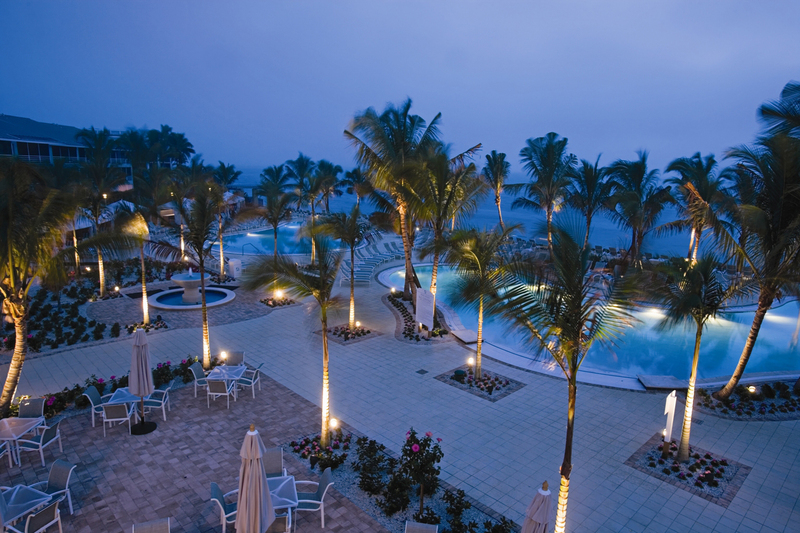 They just provide so many options to indulge, excite or simply relax, that no two days are ever the same. And when it comes to the Caribbean, (after all, it is their middle name), each season brings new deployments, new destinations and new adventures to pursue. The big news for 2016 is that their Harmony of the Seas will make its debut in the Caribbean. And before making its home in Fort Lauderdale, Florida, The Harmony, which is the third ship in the Oasis Class, will sail the Mediterranean roundtrip Barcelona -- one season only -- and then head home for sailings in the Caribbean beginning October, 2016. Now cruising the Mediterranean roundtrip Barcelona is really special on its own, but on this Oasis Class Ship you'll have a hard time deciding between ship and shore. These Oasis Class ships are really something special, featuring: FlowRider, Zip Line, Adults-Only Solarium, Casino Royale, Ice-Skating Rink, Jazz on 4, and a great Fitness Center. Add to that their Adventure Ocean Youth & Teen Program, in which every crew member holds a four-year degree in education or a related subject. Your kids will be happy and mom and dad will be too! A stroll down their "Main Street" will tempt you more with unusual dining options: a juicy burger at Johnny Rockets or your favorite pizza at Sorrento or healthy fare at Solarium Bistro, and sip a cappuccino at the first and only Starbucks at sea. And how about ice cream, anytime of the day? Have one for breakfast -- we said there are endless options to indulge! 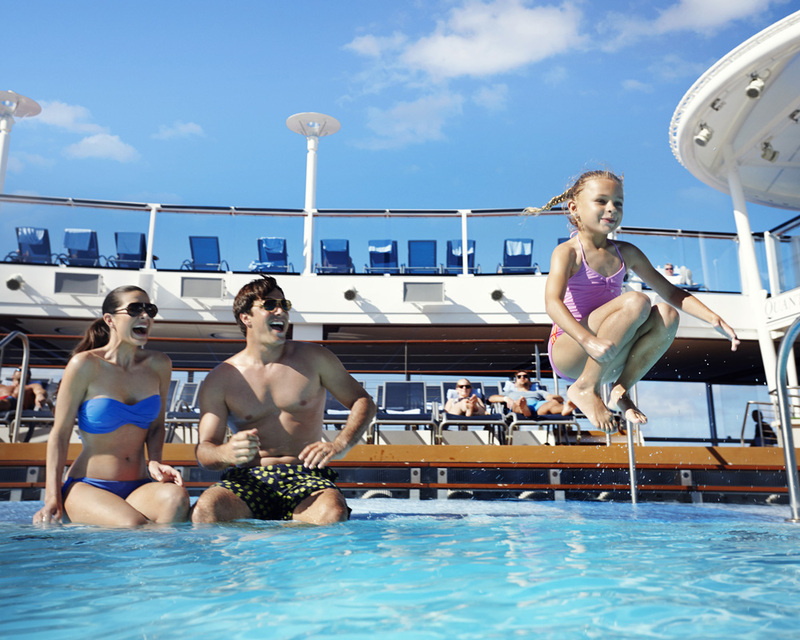 Also included in the price of your cruise is Royal Caribbean's unrivaled entertainment on stage, in the water, on the ice and in the air. So, OK, there's plenty to enjoy aboard the Harmony of the Seas, but don't forget to go ashore and soak in the history and adventure that awaits in every port. Be sure to sit down with the Shore Excursions staff and let them guide you to the most incredible adventures. There's just so much to describe about these Oasis Class ships that you really should come in and chat with us. Have a coffee; take some brochures and treat yourself to something really special this year! With Spring break and summer vacations just around the corner, why not plan a great Family getaway? For my Florida folks, a short car ride and you’re at the fabulous South Seas Resort on Captiva Island. Or if you would like to arrive by boat, there is a full service marina. It couldn’t be a better destination. This 330-acre wildlife preserve spans two and a half miles of pristine white sand beaches framing the tranquil waters of the Gulf of Mexico. 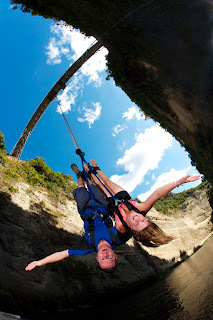 There are so many activities to keep all ages entertained for the duration, even your spouse! With over 20 miles of bike paths, “epic” fishing, 250 species of seashells and 230 species of birds, every day will create lifelong memories. 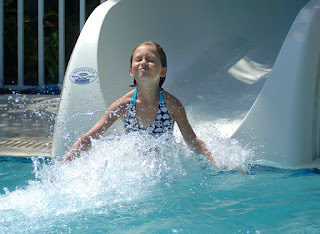 The pool has a water slide and is heated so even when there is a rare cold spell (like this past week) in Florida, you can splash around. For the fisherman of the group you are invited to fish anywhere on property. If under 16 you do not need a license. If over 16, and do not already have a license one, can be purchased online. There is also a Go! FISH catch and release program taught by resident fishing expert T-Dock. Reference the ‘Monthly Activities Calendar’ for dates/times. Fishing charters are available from both marinas, accommodating up to four passengers, excluding the captain. And if that is not enough to keep the whole group happy, there are countless other activities: family, water, land & fitness. 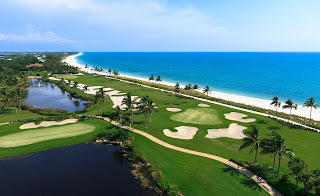 Oh and did I mention the 9-hole golf course overlooking the Gulf of Mexico? This nine hole executive course was designed by Chip Powell, and is ranked as one of the “Top Five Short Courses” in the world. All ability levels are welcome. On property there are 8 dining venues ranging from a sit down restaurant to pizza and ice cream, plus a Starbucks for all of you coffee lovers out there. The possibilities are truly endless for this destination. Give us a call so we can start creating a memory your kids won’t forget. It's Friendly, It's Spectacular, It's New Zealand! Can you imagine a safe, easy to travel destination filled with lovely, friendly people and the most beautiful scenery in the world? As I think back on my visit to New Zealand these are just a few of the things that come to mind. New Zealand is simply spectacular in so many ways. I think we all owe it to ourselves to find the time to visit this lovely country. No bigger than the state of Colorado, and divided into two islands, New Zealand will treat you to amazing scenery and great diversity. Quite incredibly, it has snowy mountains, bubbling volcanic plains, lush rainforests and countless waterways. No matter where you are on the islands, you're never more than 70 miles from the sea. In the North Island is Auckland - the international gateway, known as the City of Sails. Here, perched on 6,000 acres of farmland, forest and a championship golf course, you could stay at "The Lodge at Kauri Cliffs". It has 22 luxury suites, 3 private beaches, and guided nature walks among the centuries-old kauri trees. And don't miss the world-famous green-lipped mussels of Auckland! Just a bit to the south you'll discover Rotorua, famous for its natural hot springs, shooting geysers, bubbling mud pools, and the Maori people who share their cultural experiences with singing, dancing, haka (war dances) and Ta Moko, the art of Maori tattoo. Wellington -- the capital city, which has so much to see and do that I hope you find some time to spend there. A must visit would be to the award-winning Te Papa Museum. 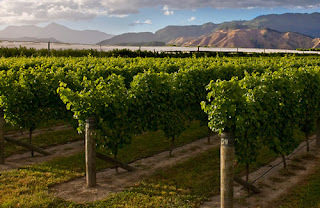 Nelson, situated at the top north-west of the South Island, is the sunniest region in New Zealand and home to the Abel Tasman National Park where much of Lord of the Rings was filmed. 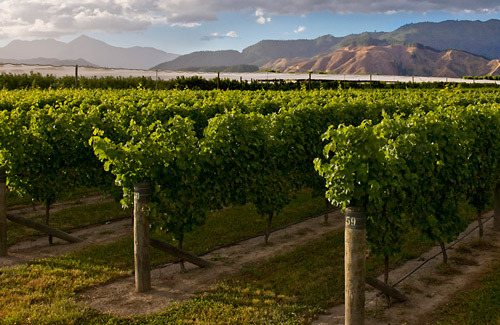 The Marlborough Region is located at the top of the South Island and is New Zealand's largest wine growing region and the home of world-renowned Sauvignon Blanc. Try to squeeze in a wine tour here. And don't miss Christchurch, a charming city with an English feel, and home to the magnificent Franz Josef Glacier, the gem of New Zealand's West Coast Glaciers and the Fox Glacier. 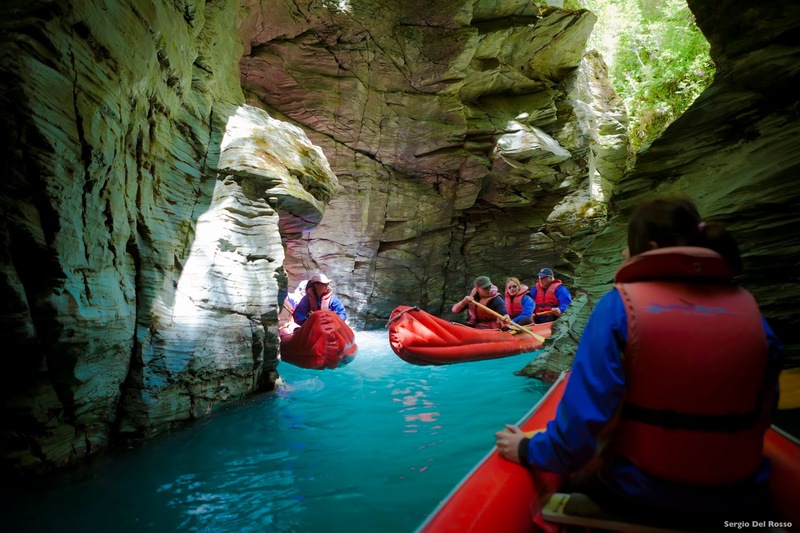 You are in the heart of Glacier Country with the most accessible rivers of ice in the world, plunging down through rainforests almost to sea level. A final must-see is Queenstown, one of the most beautiful scenic parts of the country. It is situated on Lake Wakatipu (New Zealand's longest lake), and is surrounded by a The Remarkables mountain range. From here, scenic flights or day trips to Milford and Doubtful Sounds can be planned to include activities for family adventures, golf, fishing, spa and wellness, you name it...adrenaline based or just relaxation. With all its natural wonders, New Zealand also has a plethora of luxury lodges, each situated in an inspiring location throughout both islands: Minaret Station Alpine Lodge, Huka Lodge (named for the Huka Falls), Treetops Lodge and Kauri Cliffs, to name a few.